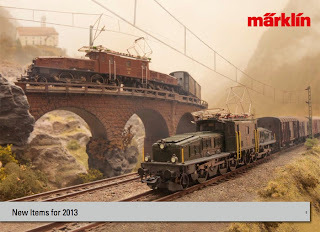 Following the release of many locomotives and cars in 2012 with completely new tooling, Marklin initially appeared to have cut back in some respects for their 2013 New Items announcements. 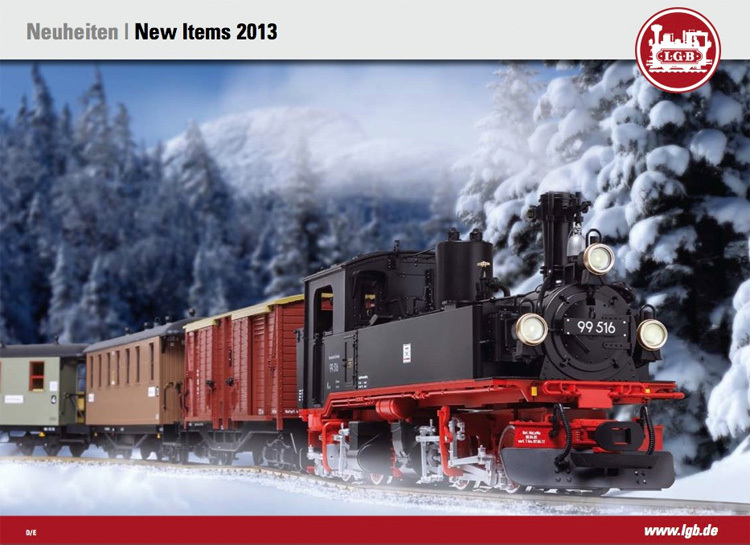 But that was not the the case - the 2013 New Items brochure is packed with 190 pages of new item announcements in all gauges with several items to highlight for you. Of course in late 2012, Marklin announced the first of their 2013 new tooling commitments by announcing a complete new Swiss Crocodile Set # 37565. This represents both an Era II Version Ce 6/8 II and an Era III Version in Pine Green livery. Both models are highly detailed full metal construction with MFX Sound Decoders with 12 functions. What’s interesting is that each locomotive will have 2, yes TWO high-efficiency motors with flywheels. Marklin then offered a Toyfair edition of the new Crocodile in black livery for both HO # 37967 and Z Scale # 88561. Of course, while the prototype never ran in a black paint scheme, the models look really cool. These are unfortunately now sold out at the factory and we only have a couple left of each to order so if interested, reserve now. The other very popular model is the edition of the Austrian Crocodile # 37566. This is a limited edition run of 2500 pieces worldwide, packaged in a wooden case, and sure to sell out by summer. 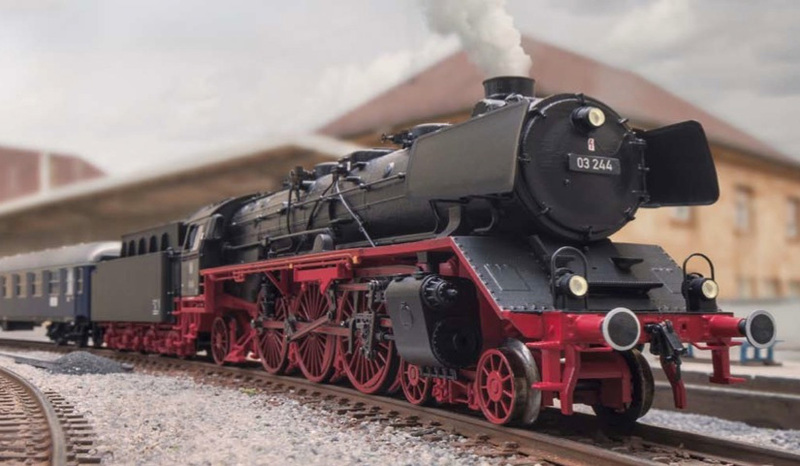 The 2013 INSIDER CLUB MODEL is a DB Era 3 Cl 58.10-21 (former Prussian G 12) Steam locomotive with MFX/Sound, # 37589. (This was top of the list of the Insider Club model request survey). This is also all new tooling and it shows in the finely detailed model. 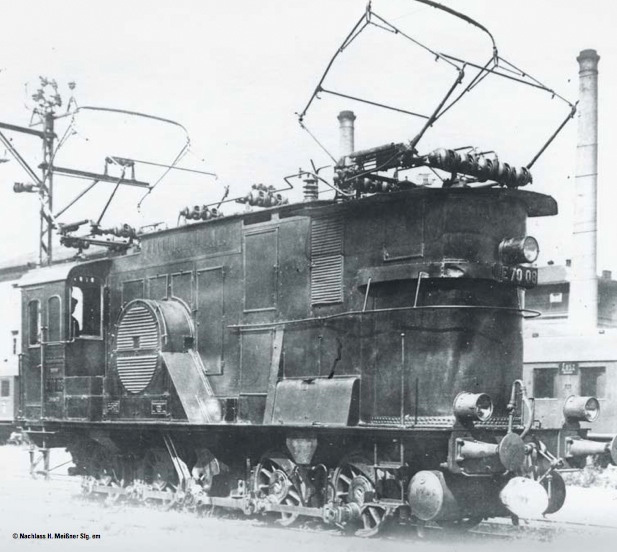 This was a very popular locomotive due to its power; it was a 3-cylinder model which for its size was impressive. (I actually had the opportunity to ride in the engineer’s cab with my son one year, so it is very exciting that Marklin has now made produced this model). Marklin is also making an appropriate freight car set for this locomotive, # 46026. This is a 7 piece coal car set with 3 of the cars produced from brand new tooling as well. Be sure to order one of these to compliment your Insider Loco! If you have not already done so, please complete your Insider Club order form which has already mailed out to Insider Members. The order deadline is March 31, 2013. If you are not an Insider Member, simply go to www.Marklin.com and join up. It’s a very worthwhile membership with 6 magazine issues (English or German), DVD’s, Catalog and Club Car free each year. The famous CL 03 Express Steam Locomotive, a model that is sure to be on most railroader layouts had been re-designed with completely new tooling. Marklin is offering this model in 2 versions; # 37956 Era III with Witte Smoke Deflectors and an MFX PLUS Sound Decoder. 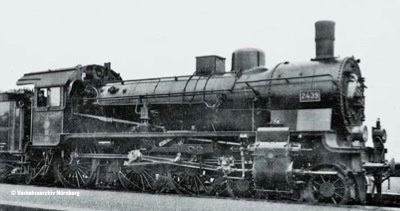 The other version of 37957, also Era III, but with Wagner smoke deflectors. This is MFX only with no sound but has the silver boiler bands. This should have come with an MFX PLUS Sound Decoder as well, but…..Marklin marketing, who knows. At any rate, either model or both will make a fine edition to your layout and/or collection. Finally, the most striking piece of new tooling at the Toyfair (Marklin built a Swedish layout just to showcase it) is the Swedish SJ Cl Dm3 Heavy Ore Locomotive # 37753. This is a 3-part rod driven electric locomotive. The model comes with 2 high-efficiency motors with flywheels; MFX Sound Decoder; Engineer cab and room lighting. Of course to run this beastly locomotive prototypically, one must have the correct ore cars. Marklin has made sure you can - offering two 6 piece sets # 46370 and 46371. These are ALL-METAL with load inserts of real iron ore! Each car has a different road # and if you really want to run a full prototypical train of this, add the Trix version of these cars # 24237 and 24238. It looks incredibly impressive with 24 cars! Norway also gets a brand new locomotive in the NSB cl EI 12 2 part heavy ore electric locomotive # 37754. The model comes with 2 high-efficiency motors with flywheels; MFX Sound Decoder; Engineer cab and room lighting. The Marklin 46370/46371 cars can also be combined prototypically with this locomotive and extended as well with Trix car sets # 24237 and 24238. No matter what the prototype of your layout, these locomotives and cars would be a most impressive addition to a layout and are a must-have for any Marklin collection. After all, many of us who model German layouts have an American Big Boy Steam locomotive. 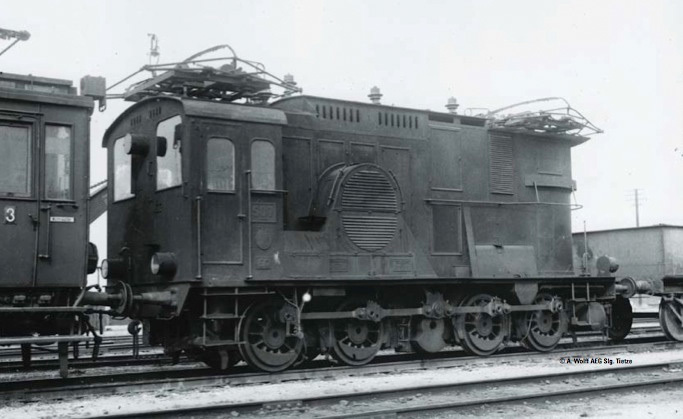 So, why not a Swedish model that represents the Big Boy Locomotive for Sweden! For Z-Scale fans, Marklin is offering the Kansas City A-B-A Unit #88199. There will no doubt be a car set coming later this year for this. Also new was the New York Central & Hudson River Railroad 4-6-0 Steam locomotive # 88036 coupled with a passenger set # 87911. In 1 Gauge there are many additions again this year, but one stands out in particular, the famous P8. # 55381 is the original Prussian Version, Era 1; 55383 is a DB Version Era III and 55384 is a DB Version in Era IV. This is completely new tooling with highly detailed metal construction of chassis and body. For the first time, dynamic smoke for the cylinder and stack exhausts (just like in KM1 Locomotives). 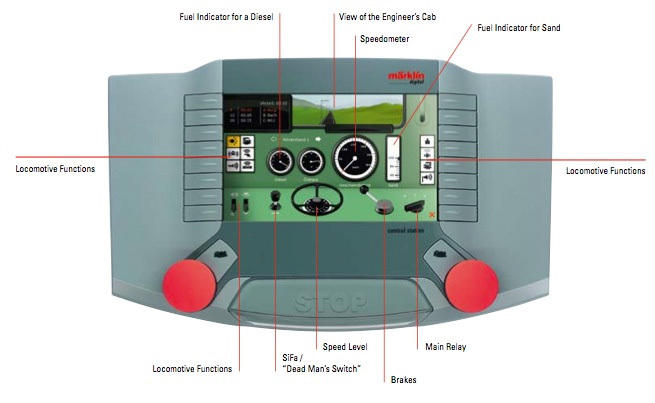 The smoke box can be opened and the model also features 2-color light flickers, running gear lights; engine cab lighting and a multi-protocol Sound Decoder. There are nice passenger cars for these # 55191/2/3/4 with built in decoder for turning on/off the interior lights digitally. Of course there are also many new versions of past locomotives and cars, may of which are one-time issues again and have always sold out in the past relatively quick. I will mention but a few; #37981/43984; 37960/46082; 37043, (first time with MFX Sound! ); 37816 Part # of the Borsig Collector Edition, a must for all those who started the collection last year with #37938; 37862 CL 86 (with MFX Sound, first time); 37014/43857; 36341;37907;47031;47082. Marklin has now finally announced the update of their old semaphore signal program. These new signals, though preceded with the old number series of the 50’s are brand new tooling and will be multi-protocol with built in MFX, Motorola and DCC Digital decoder. Unfortunately we will most likely not see these until well into 2014, but at least we know they are on their way! Marklin has now announced new updated versions of their accessory decoder program; 60122;60821;60831;60841;60881;60882;60883. The major upgrade is that they have LED indicators and they can be software updated and recognize DCC format as well as Marklin protocols. And finally for those non-Apple mobile users, Marklin has announced the Marklin app for Android Devices! Just go to the Google Play Store and install the app on your device. In summary, on initial glance, one might think the 2013 program is somewhat lacking especially compared to that of 2012, but when one realizes how extensive the new tooling editions across all ranges of product lines for Marklin, its actually quite an exciting program. Most of all, it’s a sign of Marklin’s healthy commitment to the current and future market. (Now if only Marklin management would commit to finishing the C-Track program with wide radius curve switches and a wide radius double slip switch, we would all be very satisfied! In late 2012, Trix made the first of the 2013 new tooling announcements with their version of the stunning new Swiss Crocodile locomotive #22956. Trix is also offering DC versions of the all-new Class 03 steam locomotive in 2 versions; # 22950 Era III with Witte Smoke Deflectors and a DCC Sound Decoder. The other version of 22951, also Era III, but with Wagner smoke deflectors. This has a 21 pin digital interface. Trix has also offered a Toyfair edition of the new Swiss Crocodile in Black livery for both HO # 22955. Again, we only have a couple left of these available to order. The other very popular model is the Trix edition of the Austrian Crocodile # 22957. This is a limited edition run of 2500 pieces worldwide, packaged in a wooden case, sure to sell out by summer. For the first time in many years, Trix is producing their “FINE ART” series of models. For those unfamiliar with this line, these are finely detailed all-BRASS models. 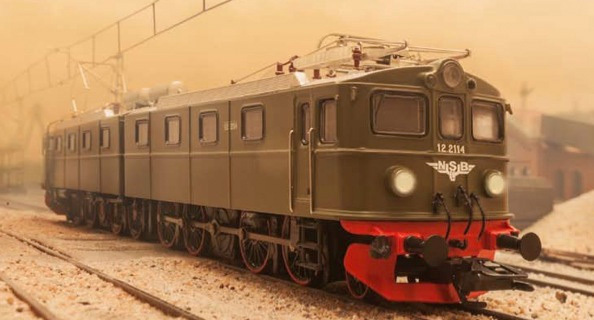 Now Trix has introduced a new model, the EG 507, 0-8-0 KPEV Electric Locomotive # 22674. This is a working model with multi-protocol decoder for DCC. They will also make a Marklin AC Digital Version # 42507. In the past, these we’re always issued in a special wooden box with fine white cotton gloves for handling, due to their highly detailed exquisite nature. These are a must have for any collector. 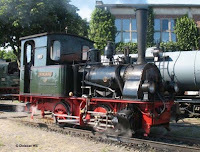 The 2013 INSIDER MODEL is also a DB Era 3 Cl 58.10-21 (a Prussian G 12) Steam locomotive with DCC Sound, # 22958. This is all new tooling, finely detailed. Trix is also making an appropriate freight car set for this locomotive, # 24258. Again, this is a 7 piece coal car set with 3 cards made from brand new tooling. Be sure to order these together. If you have not already done so, please complete your Insider Order form already mailed out to Trix Profi Club Members. The order deadline is March 31, 2013. If you are not an Profi Club Member, simply go to www.TrixTrains.com and join up. It’s a very worthwhile membership with 6 magazine issues (English or German), DVD’s, Catalog and Club Car free each year. Trix was also showcasing their DC version of the the Swedish (SJ) Cl Dm3 Heavy Ore Locomotive # 22273. The model comes with 2 high-efficiency motors with flywheels; DCC Sound Decoder; Engineer cab and room lighting. Of course to run this beastly locomotive, one must have the correct ore cars – two 6 piece sets # 24237 and 24238 are available. These are ALL-METAL with load inserts of real iron ore! Each car has a different road # and if you really want to run a full prototypical train of this, add the Marklin version of these cars # 46370 and 46371. (You need only have the AC wheels changed to DC) It looks so very impressive with 24 cars! Norway also gets a piece of Brand New tooling, the NSB cl EI 12 2 part heavy ore electric locomotive # 22274. The model comes with 2 high-efficiency motors with flywheels; DCC Sound Decoder; Engineer cab and room lighting. The Trix 24237/238 cars can also be combined prototypically with this locomotive and extended as well with Marklin car sets # 46370 and 46371. Speaking of Big Boys, like Marklin, Trix is offering the Big Boy once again in a factory-weathered version, # 22062. Big Boys always sell out very quickly so make sure you reserve this special edition now. Of course there are many new versions of past locomotives and cars, may of which are one-time issues again and have always sold out in the past relatively quick. # 22960; 22061 DRG Cl 53 with operating Condensation Tender; 22616 Cl 260 Diesel with DCC/MFX Sound Decoder; 22779 E103.1 and 31131 Coach Set; 22814 cl 01 Steam Locomotive in Museum Edition, Era VI; 22745 SBB Re 4/4. 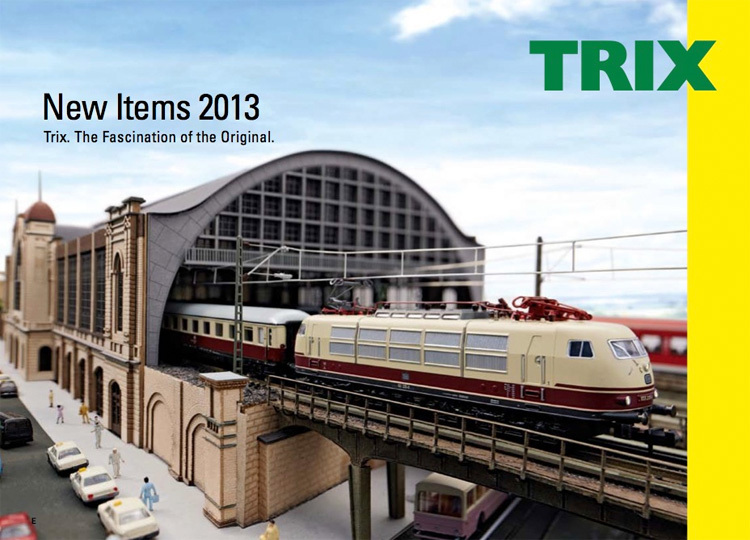 Trix also has a treat for TRIX EXPRESS (3-rail system) collectors. Trix is releasing the 32279 DB 103.1 Electric with 4 piece coach Set # 31131. These will be very limited so if you are a TRIX Express consumer or know of one, please be sure to tell your friends about this rare edition. Minitrix fans also see a return of the all-brass FINE ART models this year with an N-scale version of the EG 507, 0-8-0 KPEV Electric Locomotive # 16671. This is a working model with multi-protocol decoder for DCC/SX. There will also be a DRG version of this model # 16672. In the past, these we’re always issued in a special wooden box with fine white cotton gloves for handling, due to their highly detailed exquisite nature. These are a must have for any collector. Exclusive 1/2013 Program – This is an extensive issue and it is important to note they are all one-time collector issues. The first issue features a cl 18.5 DRG Steam Locomotive and a matching passenger set # 15967. In addition there is a Franco-Crosti Cl 42.90 Steam Locomotive # 16531 and 5 piece Coil Transport Car Set # 15073. Also a class 218 Diesel # 16281 with a 10 piece side dump car freight set # 15079. For Netherlands, there is a Cl 1600 Electric # 16002. Finally, a new piece of tooling is the DB cl 18.612 Steam Locomotive in full metal. This comes with a built-in smoke generator which varies with speed!, flickering fire box, engineer’s cab lighting and of course, DCC/SX with Sound! What a model for N Scale enthusiasts! New tooling for Bi-Level Passenger cars # 15380;1;2;3; All come with built-in LED Lighting. Perfect match is the 16461 CL 146.2 Electric locomotive with DCC/SX Decoder. # 16271 cl 217 Diesel with DCC/SX Sound Decoder. # 15993 5 Piece high-side Gondola Set with scrap loads. # 15990 SBB Sugar Beet Harvest 5 Piece high-side Gondola Set with loads. # 16341 Cl 103.2 Electric Locomotive which has a matching passenger series # 16376;15377;15378;15379. New LED Interior Lighting Kits # 66616 warm-white and 66618 in Sunny Yellow. In summary, Trix and MiniTrix saw an extensive line-up of new tooling commitments with some very fascinating models. Be sure to take advantage of our pre-order discount program to ensure delivery of many one-time issues and exclusive editions. LGB is making a more pronounced distinction between their kids/hobby line vs. their adult line of trains. 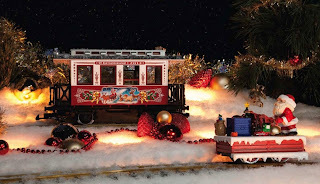 Just like Marklin with their “My World” program, LGB now has the “LGB TOY TRAIN” series. They are offering the following starter set program for children this year # 90470; with add-ons like; # 92080;94141;90964;94309;94268;90610 ICE with add-on coaches # 93611;93612. A nice line up for children or those looking for an inexpensive entry point into large-scale model railroading. New RhB Tank Car Series # 49700 with 3 tank cars. 100 Year Anniversary of Electrification of Engadin Set, # 29450. This set consists of a Ge 2/4 RhB Electric Locomotive with passenger car and 3 freight cars. RhB Blue Crocodile # 25409 comes equipped with a MTS Decoder and extensive Sound Functions. Passenger Set # 36659 goes well with this unit. RhB Salon Car Set # 36659 with built-in interiors and lighting and doors that can be opened. RhB Ge 4/4 Electric Locomotive # 28436 with MTS Decoder and extensive Sound functions. Matching Baggage Car with pantograph # 30691. Finally for Christmas we have the Inspectors Car only made up with Santa at the helm. # 21011. Fully operational. Santa obviously lost his reindeer somewhere as he has to go down the track with his bags of toys! The annual Christmas Passenger car is # 35080 comes again with a nice Christmas scene displayed on its panels. These are a sell out every year so avoid disappointment at Christmas. Reserve yours now! More 2013 New Items Highlights Coming Soon!! !